— April 11-13, 2017 in Dallas, TX. The conference was held in conjunction with the National Medicare Supplement Insurance Summit. 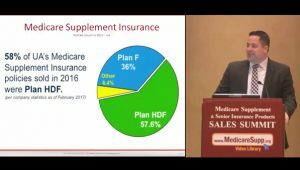 To learn more about the Medicare Supplement insurance conference, click this link. Watch sessions recorded at the conference. You will see the speaker(s) as well as any power point presentations. You will be asked to enter your Email address. We use this information to let you know about any future planned conferences or events. Filmed during the national event in Dallas, Jesse Slome shares vital information for agents interested in learning more about marketing and selling short-term care insurance. The next best thing to watching the live presentation. Watch the speaker and see their presentations. Pause when you want to … watch at your leisure on any device with Internet access.